Transformers Rescue Bots: Heroes on the Scene on DVD Mar 18! On the blog I've previously written about Transformers Rescue Bots: Griffin Rock Rescue, Transformers Prime: Beast Hunters Season 3, and Transformers Prime: Predacons Rising on DVD. As the mom of a little boy who was crazy about Transformers--specifically Bumblebee--I can say that I understand the appeal of Transformers Rescue Bots to a young child. There's something amazing about having a big, Transformer robot on your side--and have him as a friend and protector. Take a look at the Bumblebee Transformers birthday party invitation that I put together for my son's 3rd birthday almost 3 years ago. I tracked down a Transformers Autobot and Decepticon font to use in the invite. My son was CRAZY about Bumblebee, and then his interest moved to Optimus Prime. For the next year or so my son was drawn to Transformers toys, movies, swimsuits, and stickers. The Transformers Rescue Bots: Heroes on the Scene DVD is about Autobot rescue team Chase, Heatwave, Blades and Boulder who work together to protect the town of Griffin Rock. There they go head-to-head with Squilish the green ooze, recover stolen treasure from pirates, and help the town recover from an earthquake! Working alongside their human friends, the Burns family, the Rescue Bots keep the community safe and learn what it means to be a true hero! 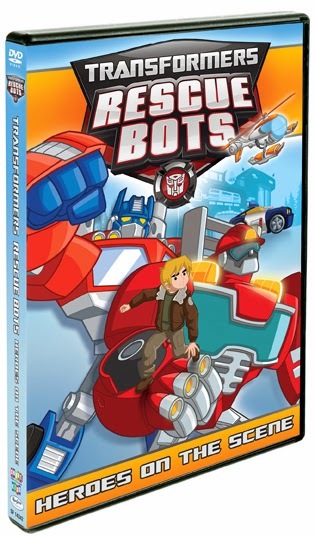 1 of 2 copies of Transformers Rescue Bots: Heroes on the Scene on DVD from SnyMed.com! Contest open to Canada & USA, and ends on Tuesday March 11th, 2014. Leave a COMMENT below stating if you have a Transformers fan in your family OR if your child or grandchild likes rescue vehicles or robots. Then, use the entry form below, to enter the contest. Why Comment? If your winning entry is done incorrectly, I give you the benefit of the doubt if you have left a comment. GOOD LUCK! Two of My Sweethearts Ready For a Special Meal! "Roses are red, violets are pink, you'll find the next clue, under the s--k!" In the above note, the next clue could be found under the "sink", and my brother and I would retrieve the next clue there. Along with the next clue, our dad would leave a Valentine's Day chocolate--or sometimes an old, red Canadian $2 bill (remember those)! The last clue would always lead to a stockpile of Valentine's Day chocolates, multiple $2 bills, and a nice Valentine's Day card hand-written by my mom and dad with warm wishes, and lots of "X"es and "O"es. Thinking back to our family's wonderful Valentine's Day tradition always makes me smile, and I so much appreciated the effort my dad put into making the day special. As a parent, I have since continued this Valentine's Day scavenger hunt tradition with my own five children. It's one way that my husband and I celebrate our love for the kids, and let them know how special they are to us. 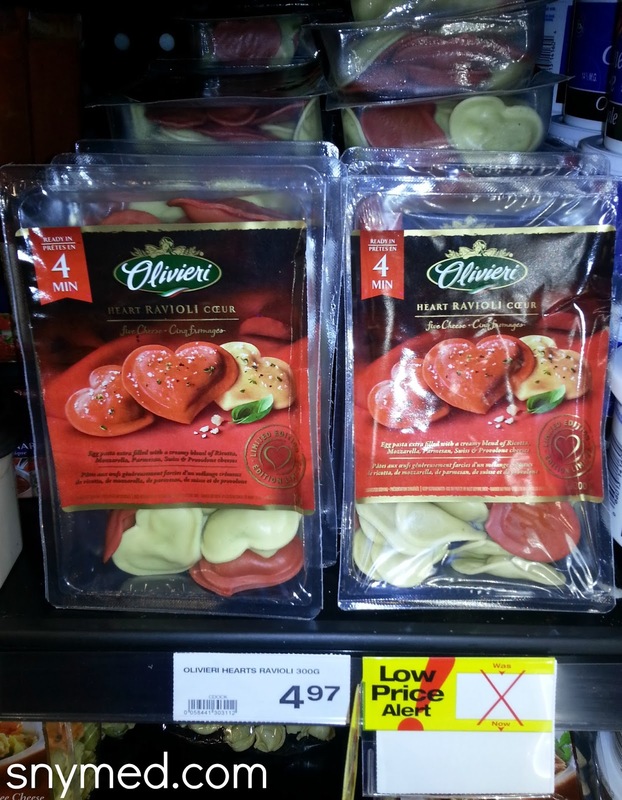 On the Olivieri website, I found a great recipe for Ravioli Hearts with Brown Butter Sauce. I love adapting recipes, so I decided to create my own using Olivieri heart-shaped ravioli, bocconcini cheese, spinach and tomatoes! 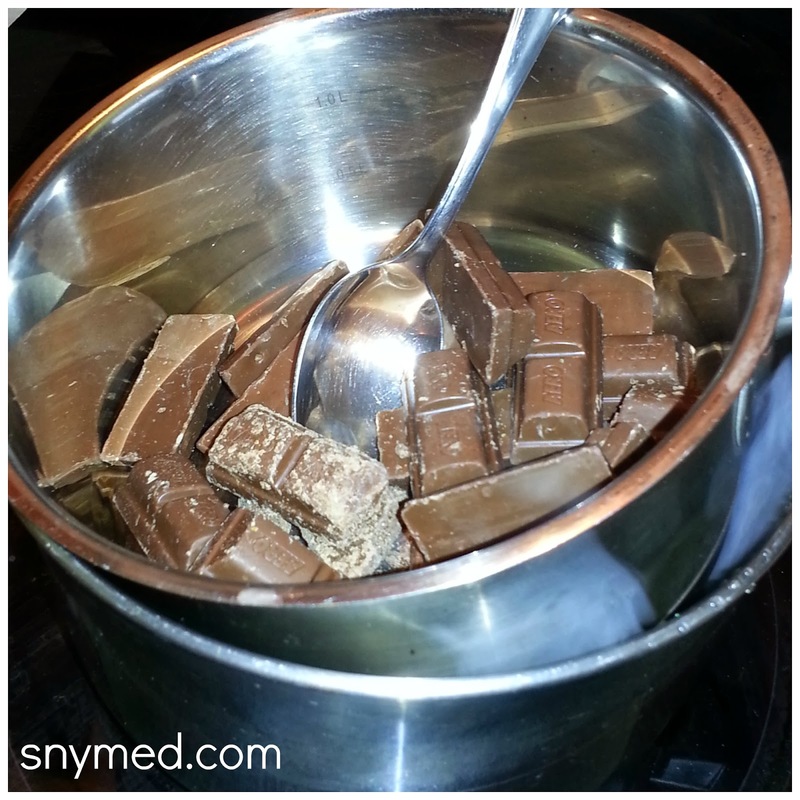 My recipe will take only 4 minutes to make, if you do the prep work while the ravioli is boiling! 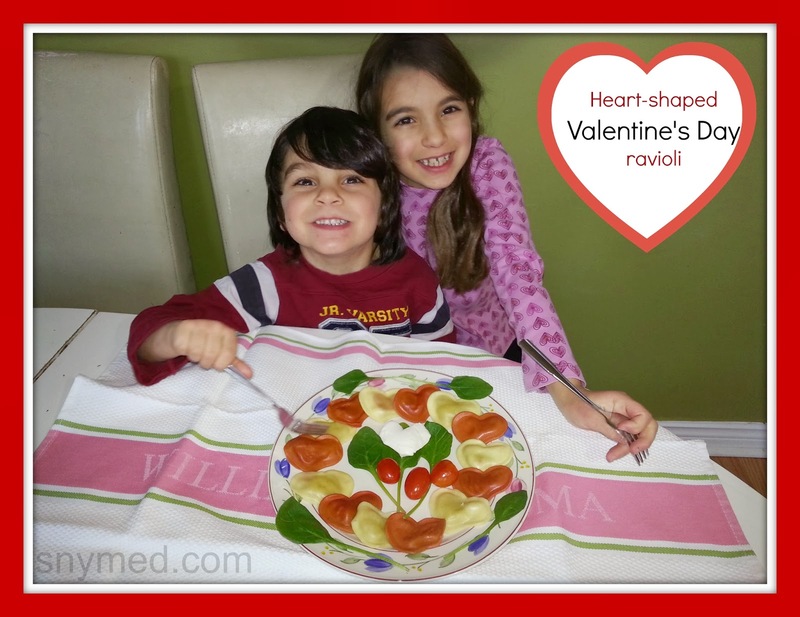 My family not only loved the look of Olivieri Heart Ravioli, but it also smelled and tasted great! In our household, we love cheese and the ravioli has 5 cheeses overstuffed into the egg pasta shells: ricotta, mozzarella, parmesan, swiss and provolone! You can really make the cheese ravioli your own by adding an Olivieri sauce, spices, your favourite veggies or grated cheese to the dish. Just serve and have a great Valentine's Day meal! 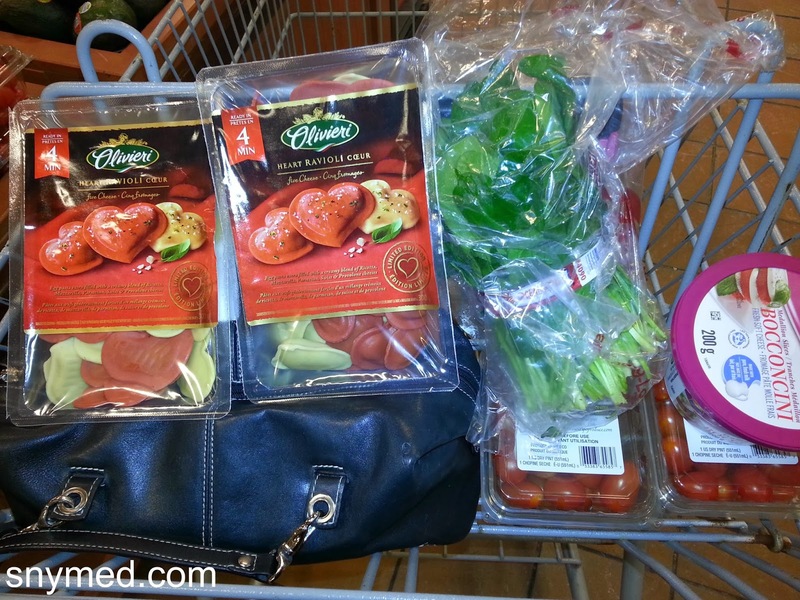 1.Bring pot of water to boil & add package of Olivieri Heart Cheese Ravioli. Cook at medium heat for 4 minutes exactly. Do not overcook. 2.Drain Ravioli and quickly arrange pasta on each plate (so it doesn't stick to each other) by alternating colour red/white/red/white. Makes two platefuls. 3.Arrange Spinach leaves and Tomatoes on plate to emphasize contrasting colour. 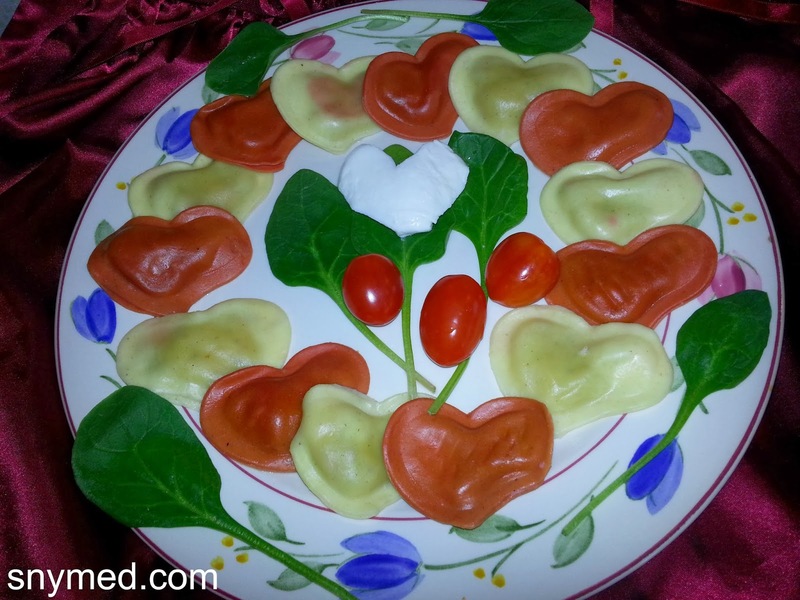 4.Using knife, slice bocconcini cheese medallions into heart shapes. Keep cheese scraps for future use. Arrange cheese heart as plate centrepiece to each plate. Say "I Love You" and serve! 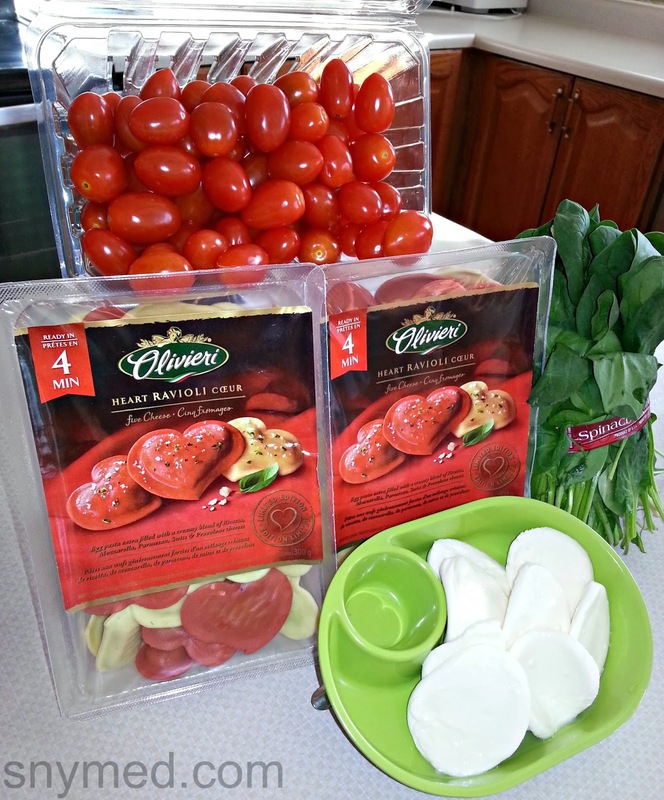 WIN Four (4) Olivieri FREE Product Coupons from SnyMed.com (each coupon valued up to $5.99; total prize value $23.96)! Contest open to Canada & closes on Friday March 7th, 2014. Also enter Olivieri's own contest HERE to WIN a Luxury Spa Retreat! Note: these are two separate contests, and you must enter separately. Leave a COMMENT below stating if you have ever tried Olivieri pastas, sauces, or garlic breads OR give your opinion of the heart-shaped ravioli, shown above. Then, use the entry form below, to enter the contest. Why Comment? If your winning entry is done incorrectly, I give you the benefit of the doubt if you have left a comment. GOOD LUCK! 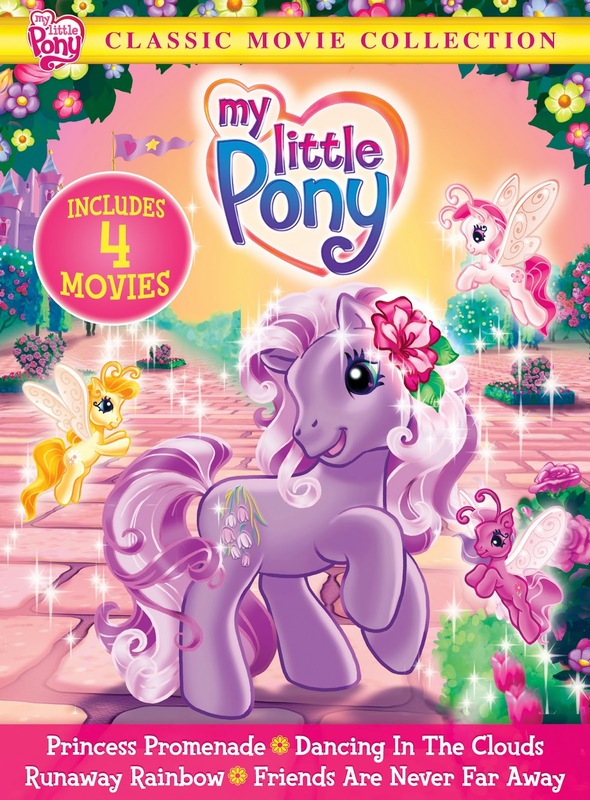 My Little Pony Classic Movie Collection on DVD Jan 21! As a fan of My Little Pony, here on the blog I've talked about My Little Pony Holiday & Seasons DVDs, My Little Pony Equestria Girls DVD, My Little Pony Friendship Is Magic DVDs, and the vintage My Little Pony Pretty Parlor girl's playset. Yes, as I child I loved My Little Pony toy ponies, and I passed this love onto my only daughter. 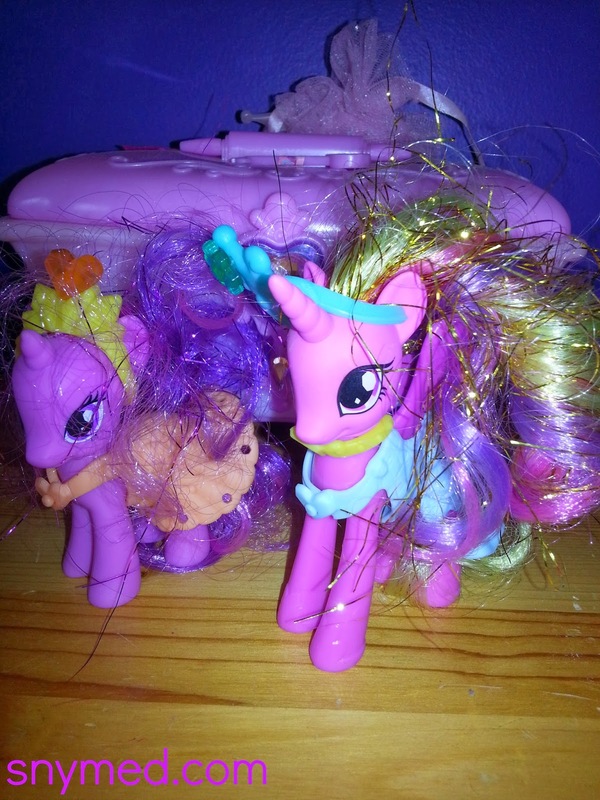 I admit it: My Little Pony toys come in the best girly colours like dark pink and lavender, and there's nothing like grooming a pony's mane or tail with a little matching brush--and adding a silky ribbon! My favourite My Little Pony ponies were always the pegasus (winged) or unicorn varieties--or even better, the pegasus unicorns, so hard to come by! Over the years I've seen the ponies evolve from muted pastel colours, to jewelled eye varieties, to beauties with bold rainbow manes interwoven with tinsel, and ponies with spectacularly sparkly bodies. We're also wild about the My Little Pony accessories, my daughter and I: little pony-sized tiaras, ice skates, saddles, pony hairclips, or necklaces. My daughter has some furniture for her My Little Ponies, including a vanity with mirror, with drawers that pull out to hold clip-on hoof accessories. Cute, fun and functional! It's with unbridled spirit that I announce that My Little Pony Classic Movie Collection is coming to DVD on January 21st! The two disc set will contain 4 beloved My Little Pony movies, including Princess Promenade, Runaway Rainbow, Dancing In The Clouds, and Friends Are Never Far Away! That's 3 hours of My Little Pony movies! 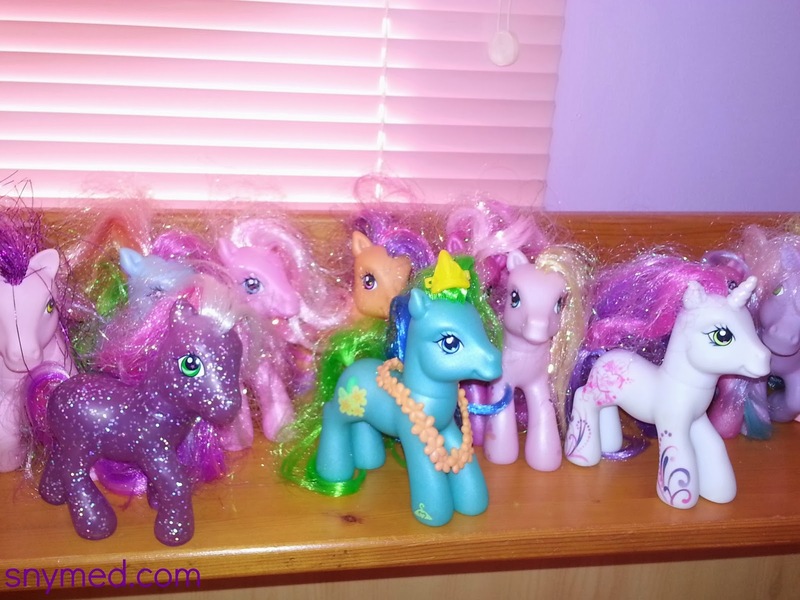 My Daughter's My Little Ponies Dressed Up in Accessories! Princess Promenade features Wysteria in a fancy spring parade, a 1000-year-old dragon, and the crowning of a new Princess of Ponyville! Though Runaway Rainbow stars Rainbow Dash and Rarity--who is learning how to be a Unicorn Princess and make the first rainbow of the season appear. Next, Twinkle Twirl collaborates with Sky Wishes in Dancing in the Clouds, as she makes up a special dance for the Friendship Ball. And lastly, Sky Wishes and Starcatcher plan a party for their Ponyville and Butterfly Island friends in Friends Are Never Far Away! WIN 1 of 2 copies of My Little Pony Classic Movie Collection from SnyMed.com! Contest open to Canada & USA, and ends on Thursday March 6th, 2014. Leave a COMMENT below stating if you have a My Little Pony fan in your family OR your child's favourite colour. Then, use the entry form below, to enter the contest. Why Comment? If your winning entry is done incorrectly, I give you the benefit of the doubt if you have left a comment. GOOD LUCK! 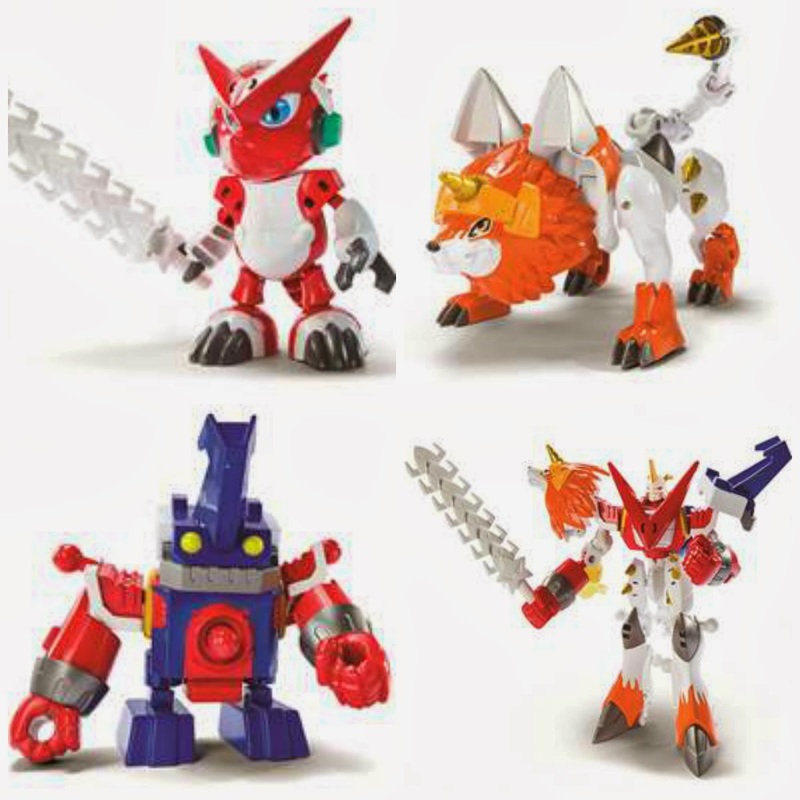 FREE Digimon Printable Activity Sheets, Digimon Fusion Show & New Toys! 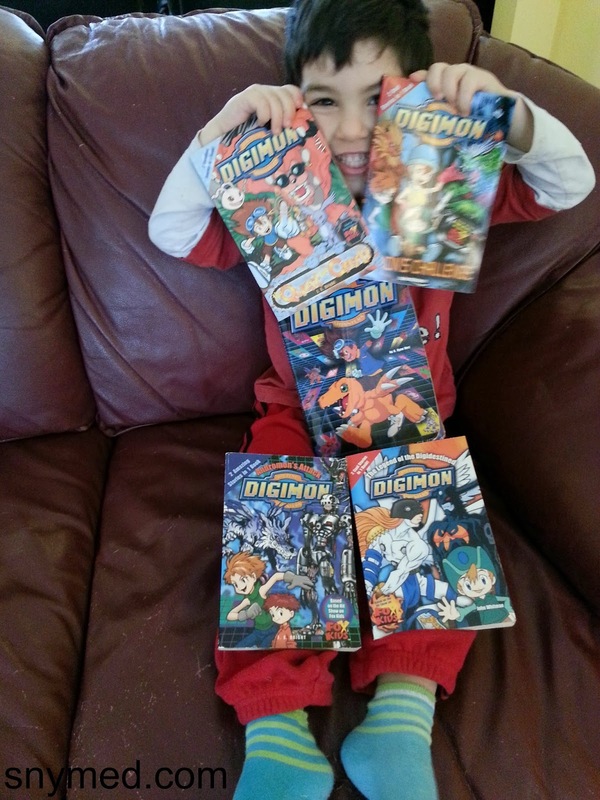 This year for Christmas, my 5-year old son decided that he wanted Digimon books more than anything else. I'm not sure when he developped a love for Digimon, but I suspect that it was from a Digimon book that he purchased at a garage sale--and he just took to it. Unfortunately, I went on kind of a wild goose hunt looking for Digimon books in time for Christmas, as most were printed in the year 2000 and out of stock! Needless to say, there were none for purchase on eBay, Amazon, or Chapters. There were also none for sale on Craigslist. But on Kijiji, I got lucky and I found a parent selling her son's Digimon and Pokemon book collection, so I snapped up the lot! Great news for Digimon fans: all-new episodes of Digimon Fusion will return to YTV on Monday February 28th, 2014 at 7:30 am EST! I know that my son will be delighted, as our Netflix service currently runs a non-English version of Digimon. See VIDEO, below, for an exclusive clip of the winter premiere episode debuting in February! 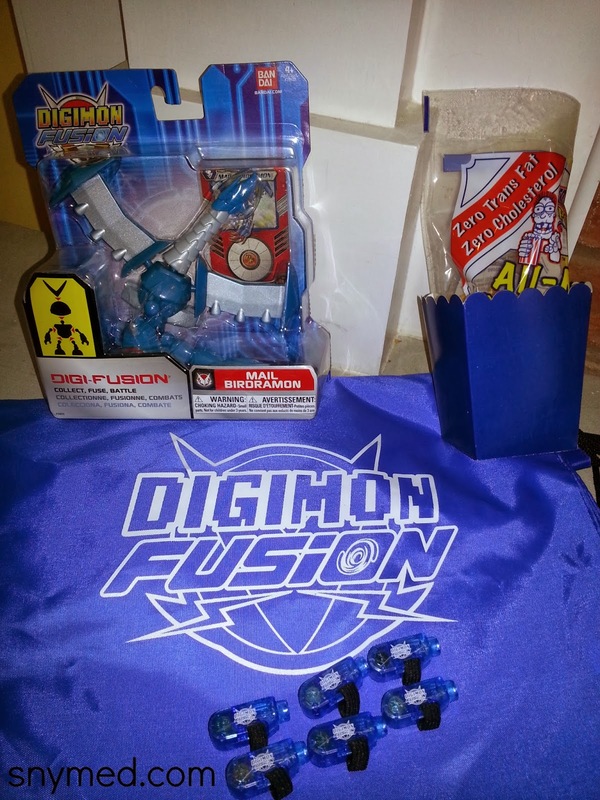 My kids were thrilled when our friends at Saban Brands sent over a Digimon care package, which is one of the perks of being a Saban Brandbassador! As I mentioned earlier, Digimon paraphernalia can sometimes be hard to come by. My 5-year old was especially excited, and began to cheer quite enthusiastically when he saw the Digimon swag! 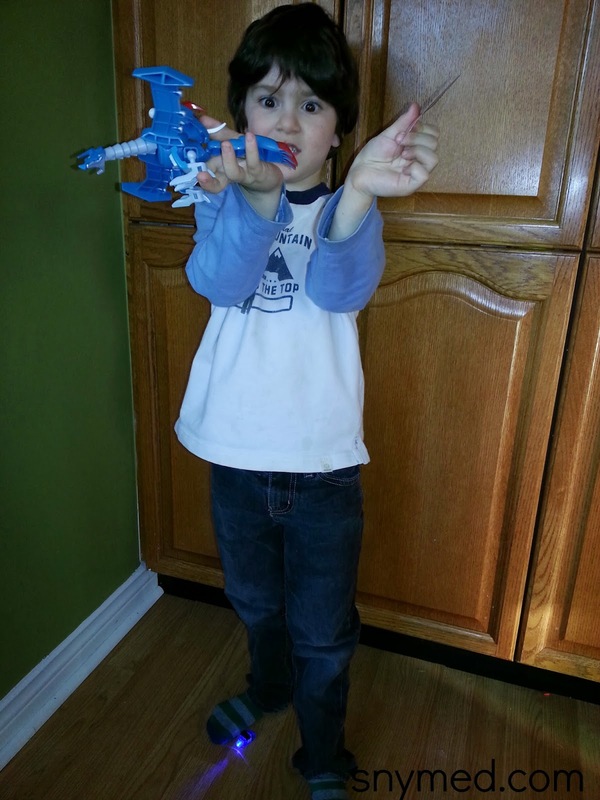 What especially caught my son's interest, was the NEW DigiFusion toy figure that he received. His eyes lit up when he got the Mail Birdramon action figure! The toy allows kids to replicate the DigiFusions that Mikey creates in the Digimon series--and even create their own unique combinations. Kids can collect the toys, fuse multiple toys together and battle their DigiFusions together! If we purchase Greymon and combine it with my son's Mail Birdramon, the toy becomes Metal Greymon! Similarly, you can make a Shoutmon x 4 by combining the Ballistamon, Shoutmon, and Dorulmon figures. The toy also comes with a touch through technology card, which can be placed on the Fusion Loader app for smartphones or touch devices. Purchase the DigiFusion toys mid-February at Toys R Us, Walmart, Target and Amazon.com for $8.99! The kids also had a great time with some fun Digimon Fusion printables. I'm going to link to the FREE Digimon printables below, as I know how rare it is to find Digimon materials. 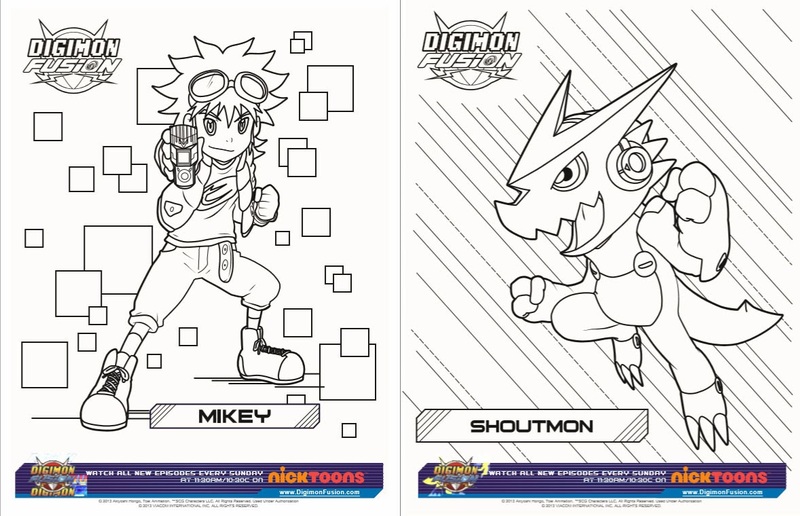 The printable Digimon activity sheet is comprised of 12 pages of coloring sheets, connect-the-dots activities, paint by numbers challenges, and a spot the differences puzzle! 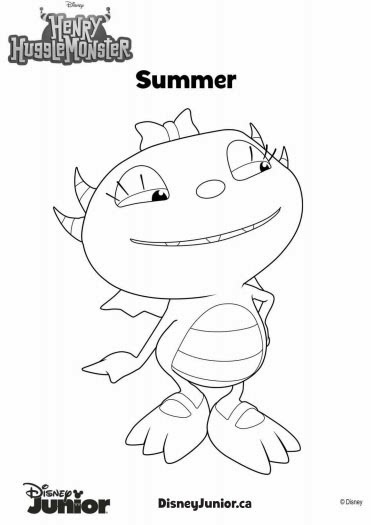 Click Image to Download FREE Digimon Fusion Printable Activity Book! Follow Digimon on Social Media! Does your child or grandchild know the Digimon animated television series? Does your child collect any action figures or toys from a movie or tv series? Power Rangers Zeo Vol. 2 Comes to DVD Feb 11! As a Saban Brandbassador, I've previously talked about Power Rangers Monopoly, Power Rangers Halloween costumes, a Power Rangers scooter, Saban Brands who owns Power Rangers, I had a contest giving away a Power Rangers costume and an autographed Power Rangers poster, and the whole family dressed up as Power Rangers for Halloween one year--and made a Power Rangers Halloween VIDEO! 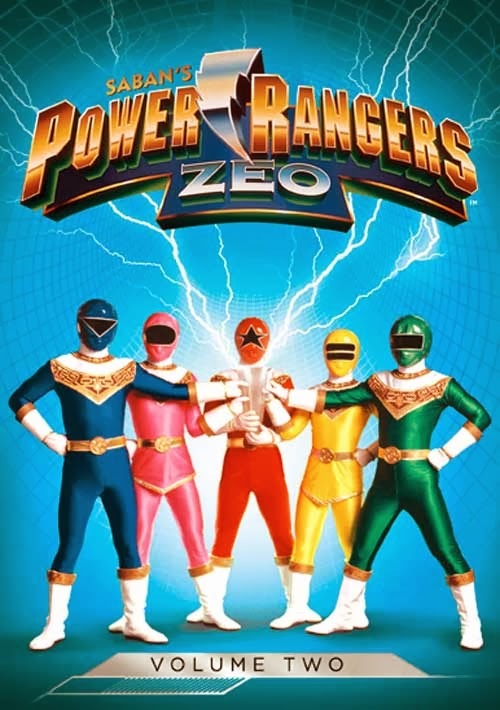 In a similar Power Rangers vein, I'd like to announce to fans that Saban's Power Rangers Zeo, Volume Two comes to DVD in a 3-DVD box set on February 11th! The collection contains the final 25 episodes in the series, as the Power Rangers go head-to-head with King Mondo and Queen Machina, evil rulers of the Machine Empire. "A menacing empire full of King Mondo and Queen Machina's robots scares Lord Zedd and Rita Repulsa into fleeing with their armies, and leaving the Moon to be conquered by the robots. The King and Queen's motives are quite clear: to rule the universe. With the discovery of powerful Zeo Crystals, the Power Rangers leverage their new Zeo powers to save Zordon and Alpha 5 from destruction. Watch as the Ranger team expands as the mysterious gold Power Ranger joins the battle against the Machine Empire!" "After its debut in 1993, Power Rangers became the most watched children’s television program in North America. Teamwork, responsibility and helping others were major themes of the show, as it chronicled a group of ordinary youth who “morphed” into superheroes. This series has been viewed in more than 60 countries and translated into numerous languages. For 20 years, the show remains a fan favorite and lives on to this day!" VIDEO - Watch this clip from Power Rangers Zeo (The Final Battle), below! 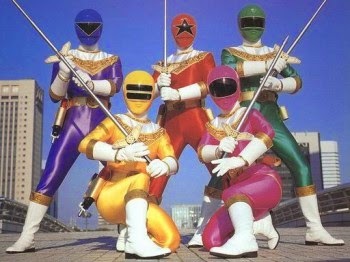 WIN 1 of 2 copies of Power Rangers Zeo, Volume 2 on DVD from snymed.com! Contest open to Canada & the US, and ends on Monday February 17th, 2014. Leave a Comment below stating if you have a Power Rangers fan in your household (or if you're a Power Rangers fan) OR what superhero power you would like to have. Then, use the entry form below to enter the contest. Leaving a comment does allow us to give you the benefit of the doubt if your winning entry is filled out incorrectly. GOOD LUCK! Henry Hugglemonster Printable Valentine's Day Cards! Henry Hugglemonster Free Printable Valentine's Day Cards! Click on image to supersize and print out! 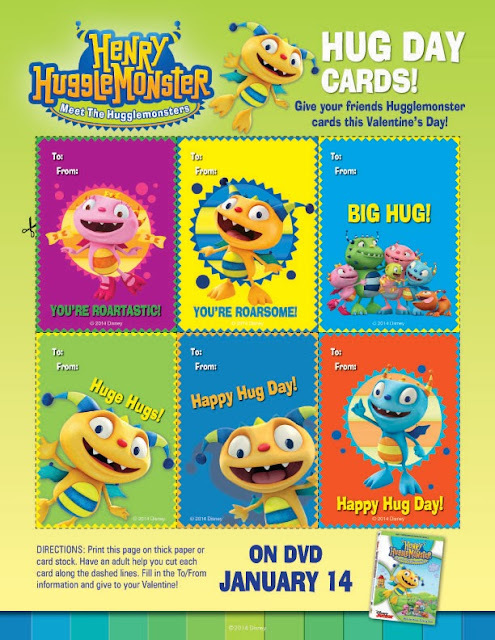 For all the young Henry Hugglemonster fans out there, SnyMed.com is glad to offer a free Henry Hugglemonster printable Valentine's Day sheet of cards! Simply click on the image above to supersize it or CLICK HERE, and then print the Henry Hugglemonster Valentine's Day cards on thick paper or card stock! You can print out multiple sheets of cards so you child can have enough for his or her classmates. Allow a few minutes for the ink to dry well. It's a great lesson in printing to have your child fill out the "to" and "from" name on each card. 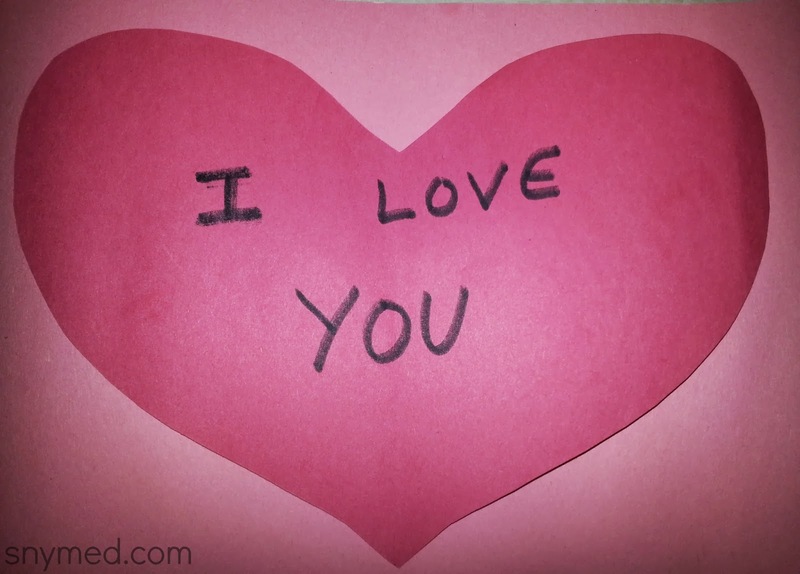 Your child's teacher may be able to provide you with the first names of your child's classmates, so that no one is left out of receiving a Valentine's Day card on February 14th. 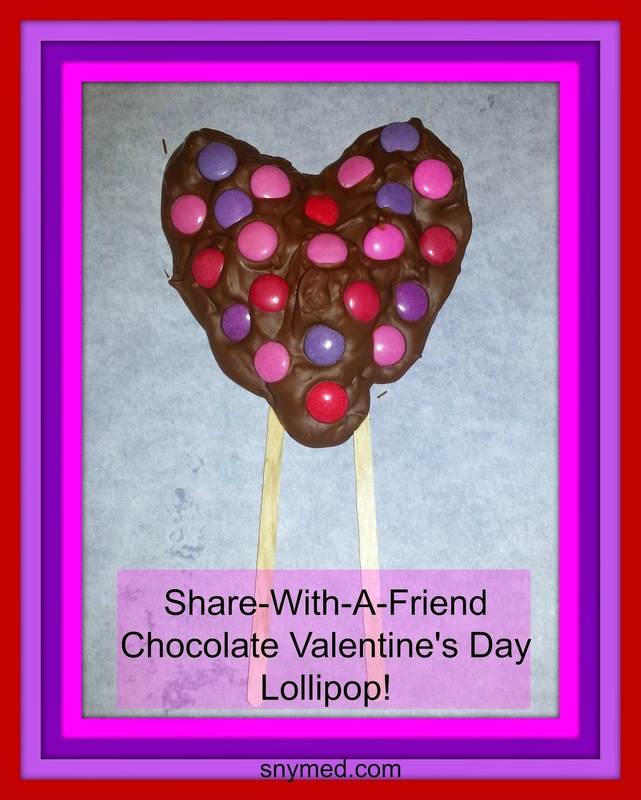 Your child can use safety scissors to cut out the valentines along the dashed lines. Want to go the extra mile? Purchase colourful pencils from the Dollar Store to attach with a piece of tape to each Valentine's Day card. 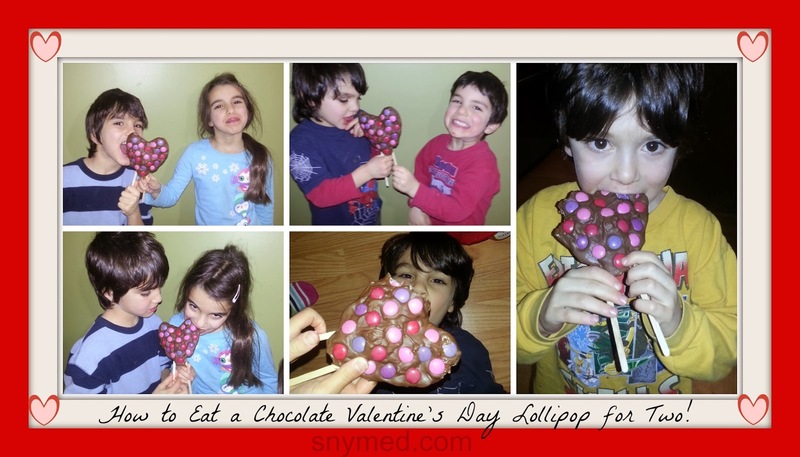 This is a health-friendly choice instead of adding a lollipop, and very cost-effective when purchasing in bulk. Happy Valentine's Day! Henry Hugglemonster: Meet the Hugglemonsters is now out on DVD from Disney DVD, and SnyMed.com is giving away a copy! 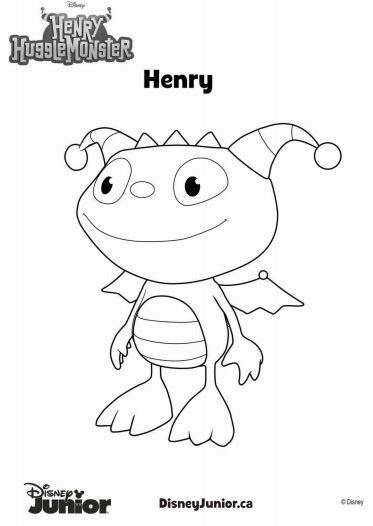 Also, find more Henry Hugglemonster colouring pages on the same blog page, here! Mickey and the Gang Come to Toronto March 21-23! When my kids learned that Disney Live: Mickey's Rockin' Road Show is rolling into Sony Centre for the Performing Arts from March 21-23, they made their father and I promise to take them! If you're a regular reader of my blog, you'll know that we're a Disney family through and through, so we quickly agreed to go as a family! The Toy Story Gang: Part of Mickey's Rockin' Road Show! 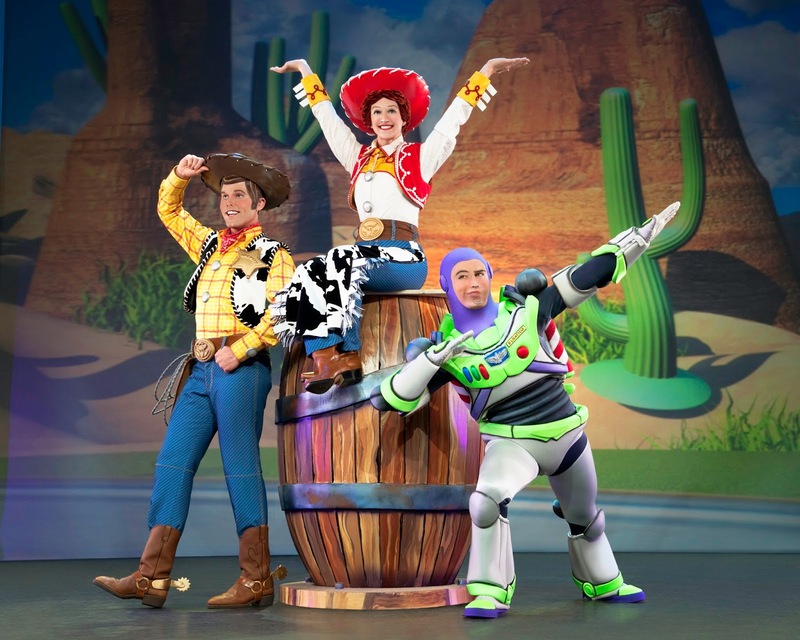 Mickey's Rockin' Road Show promises to dazzle with stars like Mickey Mouse, Minnie Mouse, Goofy, Princess Cinderella, Winnie-the-Pooh's Tigger, and The Toy Story gang: Woody, Jessie and Buzz Lightyear! Get ready for a high-energy performance! I was watching the YouTube video of Mickey's Rockin' Road Show, and it looks like there's lots of fun music, dancing, awesome costumes and your child's favourite Disney characters! There's even a special Playhouse Disney Pre-Show Party as a special bonus starting 15 minutes before every show, in which your child can sing, dance and play along! Shucks! The ears give him away! This interactive Playhouse Disney Pre-Show Party features a live host and video highlights from shows like Mickey Mouse Clubhouse, Handy Manny, Imagination Movers, Special Agent Oso, and Jungle Junction. The Playhouse Disney Pre-Show Party is free to all ticket holders! Is your child crazy for Disney Princesses? Cinderella and her beautiful ballgown hit the stage at Disney Live: Mickey's Rockin' Road Show! 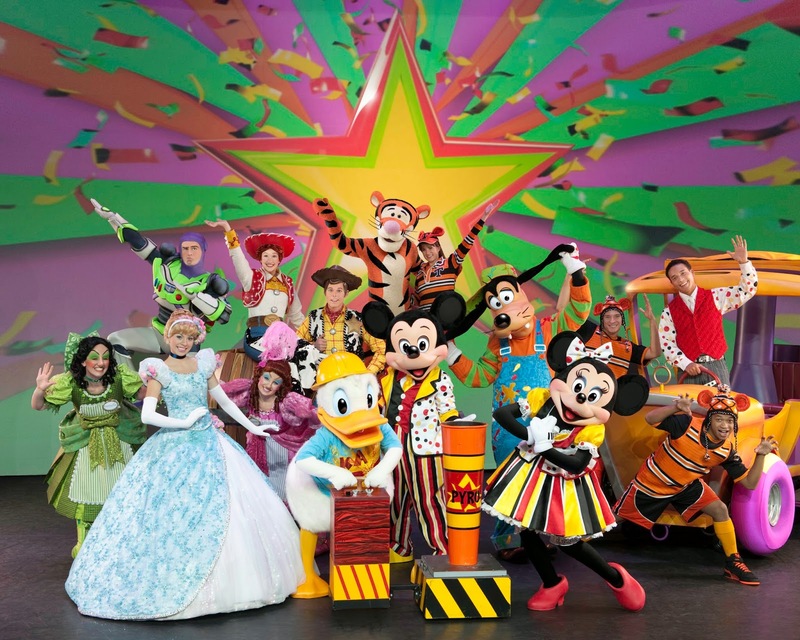 To make the experience even more magical, have the kids dress up as their favourite Disney character during the show! Great costume ideas would be a Disney Princess like Cinderella, a character from Toy Story like Woody, or put on mouse ears to cheer on Mickey and Minnie! We're got ears, say cheers! VIDEO: Watch a clip from Mickey's Rockin' Road Show, below! Use Discount Code: MUM4 for 4 tickets for $44.00 (all shows). Excludes Front Row and VIP tickets. No double discounts. Additional Fees May Apply. Weekday is defined as Monday thru Thursday. Weekend is defined as Friday through Sunday. Limit of four (4) per purchase. Buy Disney Live: Mickey's Rockin' Road Show Tickets! Follow Disney Live on Social Media! Tigger Springs to Life in Disney Live! 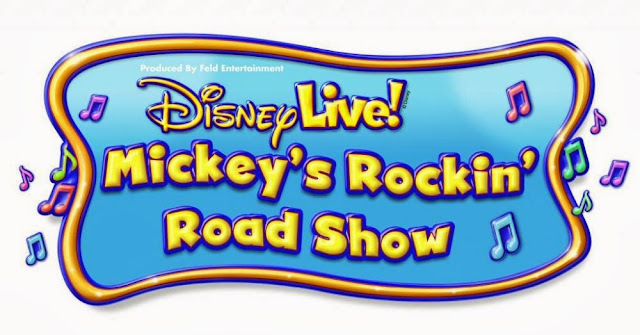 WIN 4 Family Tickets to Disney Live: Mickey's Rockin' Roadshow in TORONTO at Sony Centre for the Performing Arts, Friday March 21st, 2014 at 6:00pm! Contest ends Friday March 7th, 2014 and is open to Canada. Leave a COMMENT below stating if your child or grandchild has ever attended a live show before OR his or her favourite Walt Disney character. Then use the entry form below to enter the contest. Yes, we read all comments and so do our sponsors! GOOD LUCK! NEW Finish Power & Free Dishwasher Tabs Uses Less Harsh Chemicals & FREE SAMPLE! 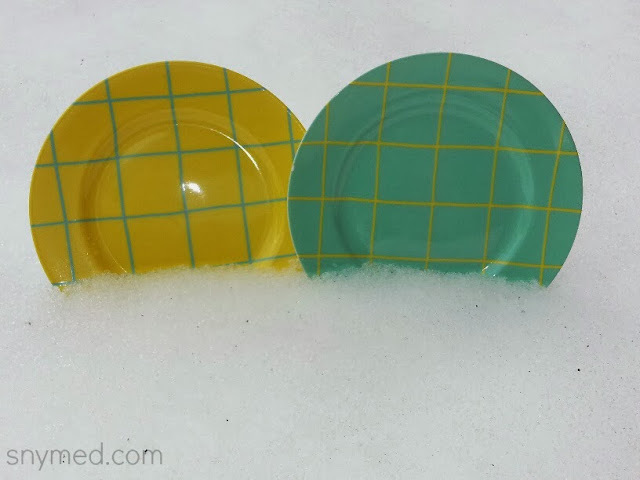 NEW Finish Power & Free Dishwashing Tabs Uses Less Harsh Chemicals! Recently Finish launched a dishwashing detergent that uses less harsh chemicals, called Finish Power & Free Dishwashing Tabs. I had tried Finish's other products like Finish Dishwasher Cleaner, Finish Jet-Dry Rinse Agent, and Finish Quantum, and was interested in doing a comparison. 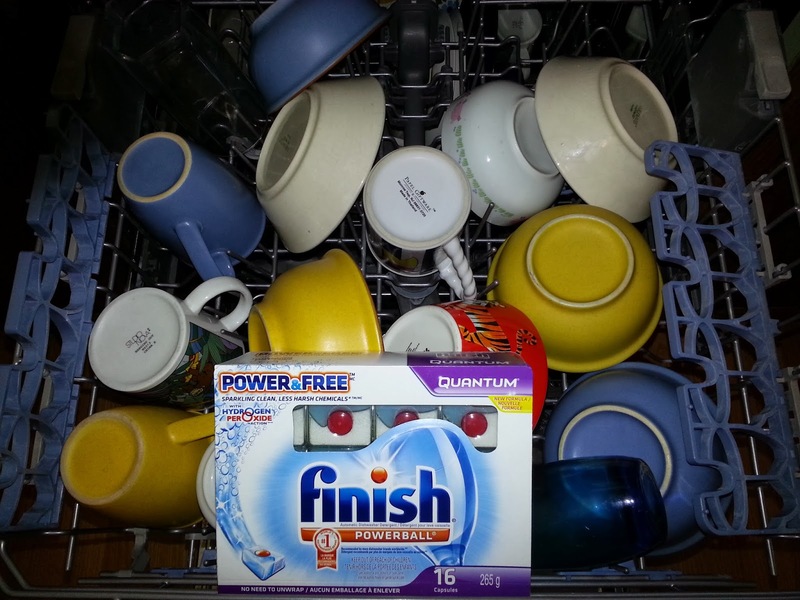 My main question was would the Finish Power & Free do the same excellent job of cleaning dishes, as Finish Quantum? 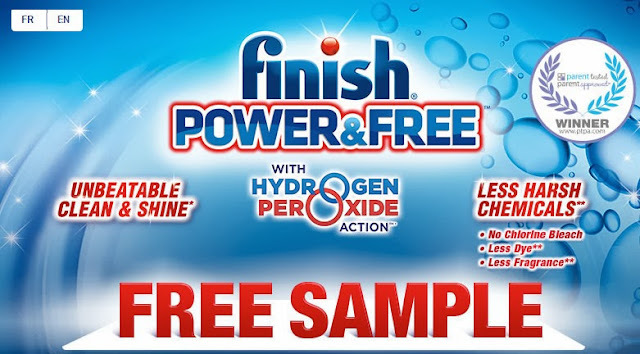 Finish Power & Free uses "hydrogen peroxide action", which combines water and active oxygen to get the family's dishes sparkling clean and shiny. To try out how well it works, I placed a Finish Power & Free tab in my dishwasher detergent compartment and let it get to work. After the cleaning cycle was complete, I systematically pulled out the dishes and studied them. The verdict: Finish Power & Free offered the same great cleaning power as Finish Quantum, of course with a less harsh chemical like hydrogen peroxide to do the work! Given that both products performed exactly the same, I'd prefer to use Finish Quantum Power & Free due to its less harsh chemicals! The results of my little trial surprised me, as I had once switched to a laundry detergent with less harsh chemicals when my kids were babies, but the detergent had left stains on their clothes and I had to switch back! Well, this was not the case with Finish Power & Free dishwashing tabs, which cleans great and yet uses less harsh chemicals! Also check out the other Finish Power & Free line-up of products: Quantum, Powerball, and Jet-Dry. Get Your Finish Power & Free FREE Sample! FREE SAMPLE Finish Power & Free! Would you like to try a FREE sample of Finish Power & Free? Visit the Finish Canada Facebook Page to claim your FREE sample, and it will arrive in the mail from 4-6 weeks! Samples available to Canada only, thank you. Did you order your FREE sample of Finish Power & Free? When given the choice, do you prefer products with less harsh chemicals? Disclosure – I am participating in the Finish Power & Free Blogger Campaign on behalf of Finish. I received compensation as a thank you for participating and for sharing my honest opinion. The opinions on this blog are my own. 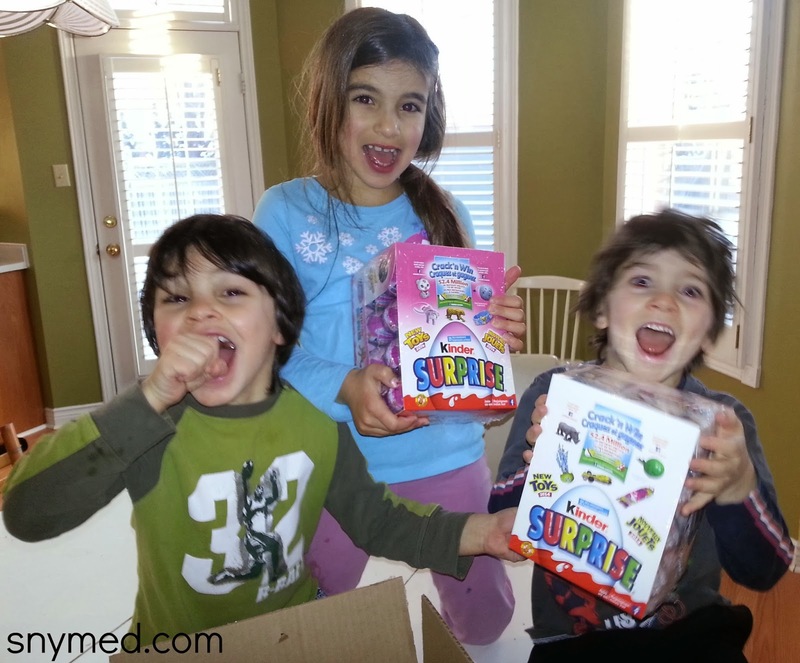 Crazy for Kinder Surprise Egg Crack'n Win CONTEST! Being a KinderMom has been a great source of delight for my family and I! Once a week my kids get to choose a wonderful Kinder chocolate egg, and everytime a child visits our home, we send him or her home with a chocolate egg! There are about 20 kids with peanut allergies at our school, so it's of great importance that Kinder eggs are peanut-free (always check labels first, if your child has peanut allergies). I love to surprise my kids with a new movie, book, toy, treat or experience! When a big box arrives for them, we like to play a guessing game to figure out what's inside. The kids get really passionate with their guesses, and all 5 kids argue good-naturedly about whose guess is the right one! Once we open the box, the kids squeal and get really excited about what's inside the box (see photo above). As you can see, the kids are crazy for Kinder eggs! Kinder Crack'n Win Promotion Is Now On! Over $2.4 MILLION in prizes up for grabs! If you love Kinder eggs AND winning, purchase specially-marked Kinder Surprise eggs and play Kinder Crack'n Win! This fun promotion not only celebrates the launch of the new 2014 Kinder toy collection, but there are also over $2.4 MILLION instant prizes to be won! 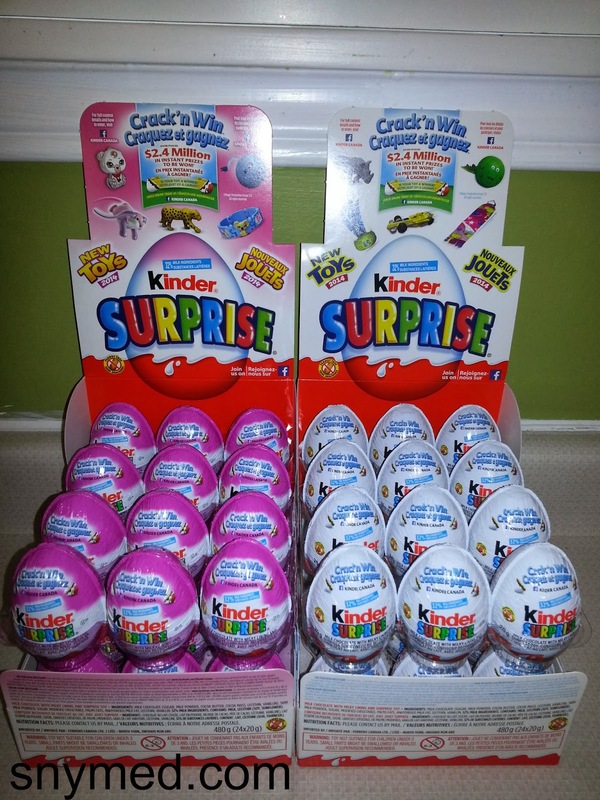 And yes, you can find Kinder Crack'n Win eggs in either pink tops, or white tops! Some prizes up for grabs in the Kinder Crack'n Win contest include: a 2014 Fiat 500 POP car, a family vacation to Orlando Florida (2 winning families)!, 27,850 family night out movie passes and 201,000 free Kinder eggs! Each Kinder egg still includes delicious chocolate, a new 2014 Kinder toy, and a pin code to enter the Kinder Crack'n Win contest! 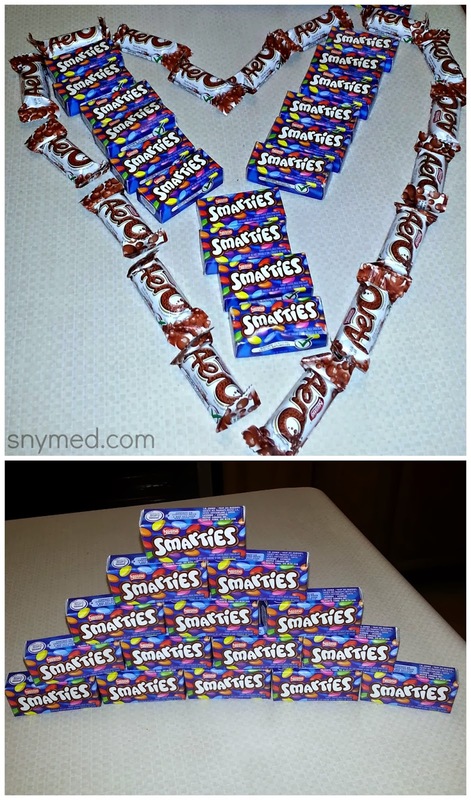 Chocolate, Kinder Toys & a Chance to Crack'n Win! Look inside specially-marked Kinder Surprise eggs for your PIN: it's located inside the plastic capsule, on the toy assembly leaflet and/or embossed on the toy. It may read something like this: DCXXX. Once you have your code in-hand, enter it on the Kinder Canada Facebook page HERE. Be sure to like the Kinder Canada fan page if you haven't already! Enter your PIN code (along with any required information), and click "Check Your Pin" to see if you're a winner. GOOD LUCK! When it comes to winning things, I have about the same luck as the average person. However, I did win an Apple iPad 2 in a writing contest two years ago! I won it right at the time that the iPad 2 was a very hot item, and my husband really wanted one. My husband and kids were delighted that I won, and they couldn't wait until the prize arrived! Two years later, they still use it daily. It was thrilling for me to see my name as the winner, especially because my entry was chosen from hundreds of others. Do You Want to Crack'n Win? My kids keep the Kinder toys that they collect displayed on the headboard bookshelves of their beds. My youngest two guys integrate them in their play, and often make the figurines "drive" their toy cars. When a friend comes over to play, it's common for my kids to gift a Kinder toy as a parting gift (along with a brand new Kinder Surprise egg)! The kids have already started their 2014 Kinder toy collection, and so far have a gorilla, orange jeep, 2 spinning ribbon tops, and animal hologram stickers! 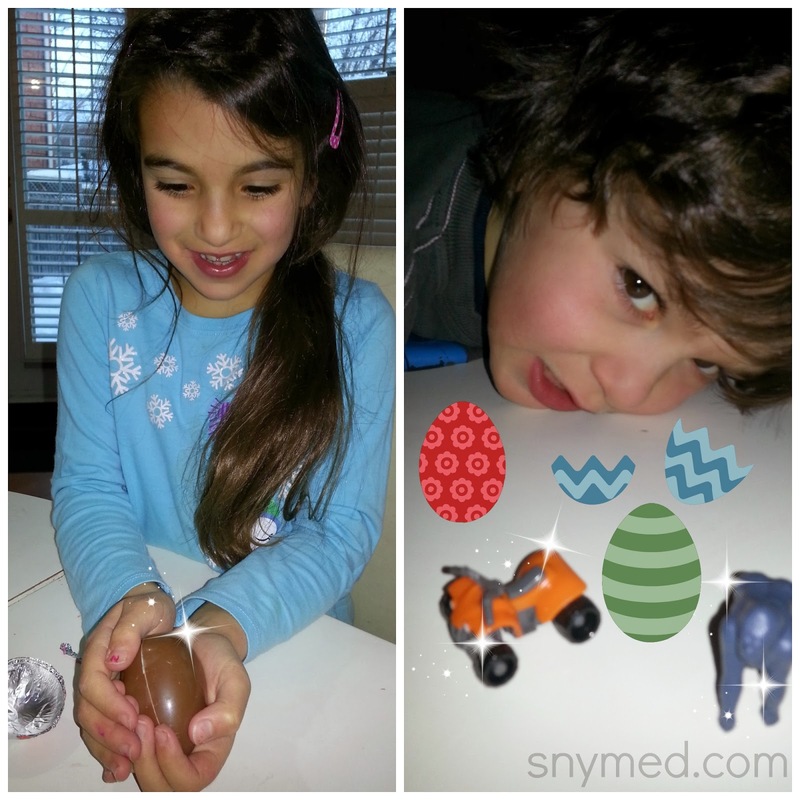 Do your kids or grandkids like Kinder Surprise chocolate eggs and the toys inside? What would you rather win: a family vacation to Orlando, Florida or a 2014 Fiat POP car? 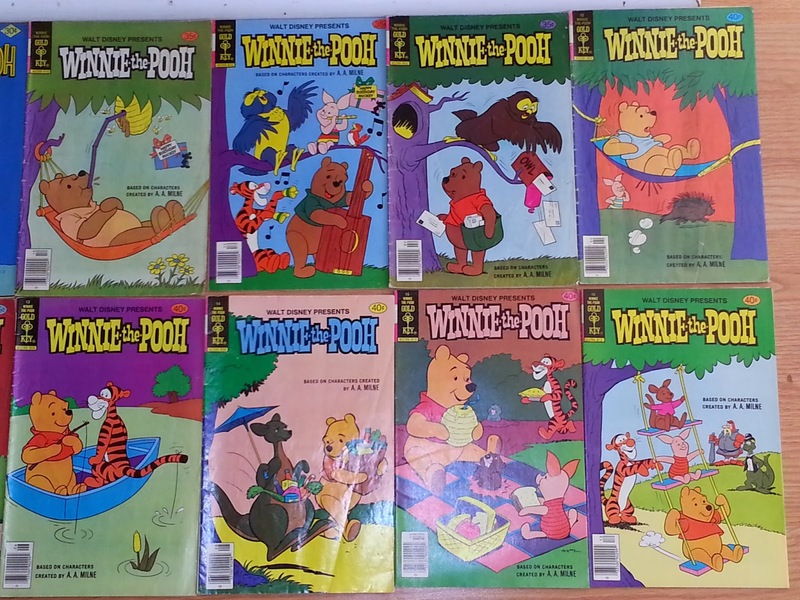 My Vintage Winnie-the-Pooh Comic Book Collection Is Finally Complete! 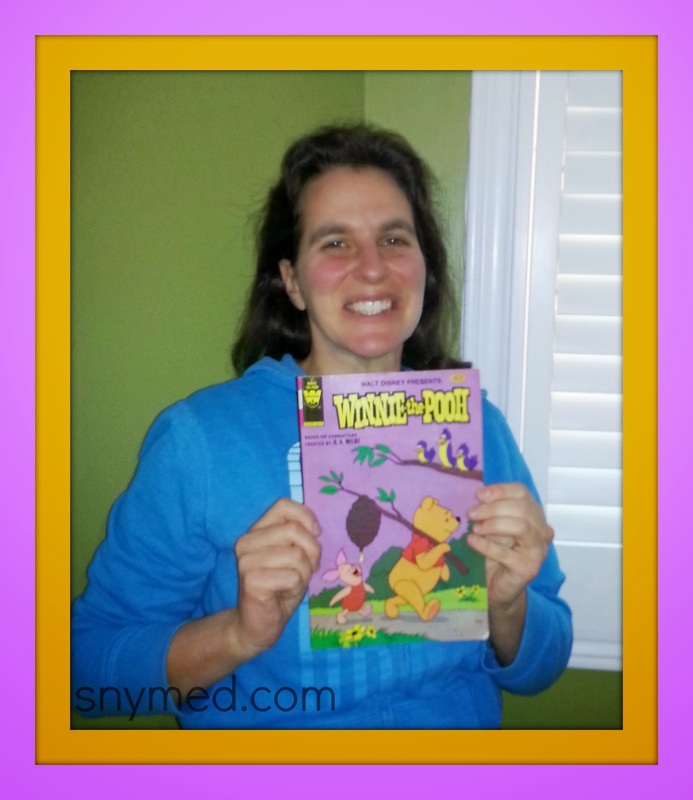 It Took Me Decades to Finish My Pooh Comic Book Collection! When I was a 5-year old child in 1977, I was delighted to find a Walt Disney Presents Winnie-the-Pooh comic book at the corner store! This was especially fortunate, as Pooh bear was my very favourite Disney character. So, as my brother chose a Richie Rich comic book, I snapped up Winnie-the-Pooh comic book, issue #2 from Gold Key comics for just .30¢. I read the comic for years until it was in tatters. Very quickly, I fell in love with the colourful Pooh comics, with their charming and comedic covers. I would look for them constantly when my parents allowed me to get a "treat" at the variety store. I did not find them all the time, and I did not know how many comics had been issued, as some lacked the issue # on the cover. (I learned years later that the issue # appeared on the inner front page of the comic). In 1980, the Whitman name appeared on Pooh comics instead of Gold Key comics (starting at around issue #18). The Pooh comics started to become harder and harder to locate, and every so often I would run across them at flea markets. 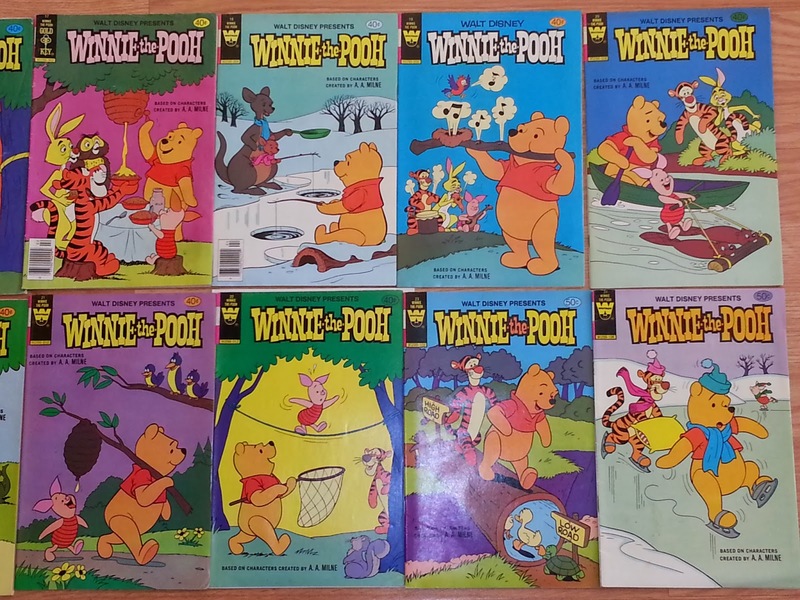 I would sometimes find them in sealed 3-pack bags, packaged with other Whitman titles--or sometimes other Pooh issues (either different issues or duplicates). I enjoyed the Pooh comics so much, that I kept my copies into my adult years. But, in the back of my head I always wondered how many copies my collection was lacking? I knew that I had been missing at least one comic book, as my parents had made me choose between two issues when I was a child. I started searching the internet for vintage Pooh comics. Through the internet, I discovered that Whitman printed their last new Pooh comic book title in 1984. So from the first Gold Key comic book run in 1977 to the last Whitman issue in 1984, the Winnie-the-Pooh comic had had a 7-year run. 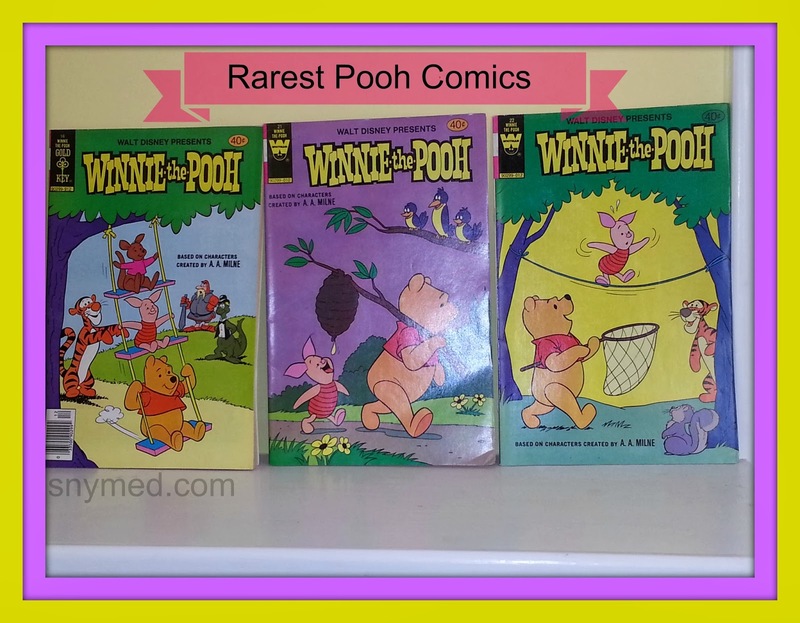 Online, I started purchasing inexpensive reading copies to fill the gaps in my Pooh comic book collection. My main purchases were made from eBay and vintage comic book websites. Unfortunately, I was in the dark about how many comics had been issued during that the 1977 to 1984 timeframe. After scouring the internet and doing a lot of research, by luck I came across Jean's Winnie the Pooh Cover Gallery. 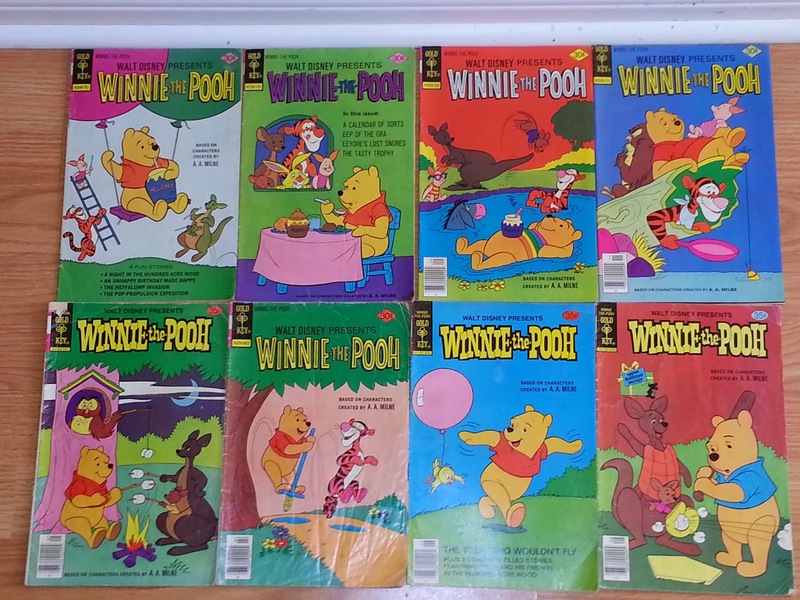 The page showed me all of the Walt Disney Winnie-the-Pooh comic books that had ever been published, as well as their covers so I could track down gaps in my collection. Finally I had an answer: Gold Key and Whitman had issued 33 comic books from 1977 to 1984! Pooh Gold Key comic #1 had cost .30¢ in 1977, and Pooh comic #33 (the last Whitman issue) had cost .60¢ in 1984. There seemed to be about fifteen comics that I was lacking in my collection, so I set out to procure the issues. This took me almost one year, but then I hit a wall: I could not find issues #16, #21 and #22! Some information seemed to be circulating on the internet that Whitman had had some problems with distribution in 1980, which would explain the rarity of issues #21 and #22. According to Comic Completist: "The Whitman comics published between August 1980 and December 1980 were only available in pre-packs, three comics in a package sold through department stores and non-traditional locations. It is estimated that 25-50 copies exist in the current marketplace." Needless to say, Walt Disney Presents Winnie-the-Pooh is currently sought out by comic book collectors around the world. Comic book #16 was dated 1979, with issues #17-20 quite plentiful, so its rarity remains unexplained to me. The rarest Winnie-the-Pooh Whitman comic book by far, is #22. It is the comic book with the yellow cover, that features Piglet walking a tightrope overhead, as Pooh stands underneath with a net to catch him. 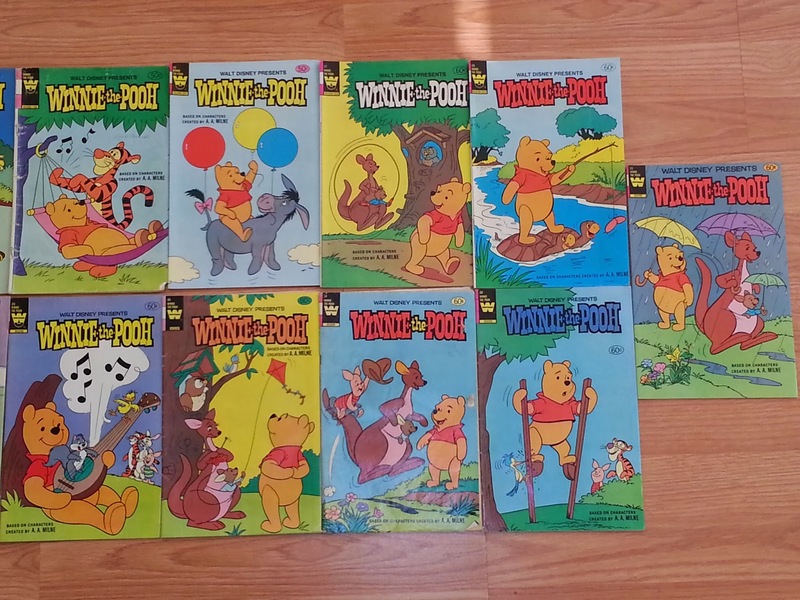 On eBay, I was quite fortunate to hook up with another collector of Pooh comic books. She too was trying to fill in a vintage collection that she had purchased from an estate sale. I asked her if she had any spares of issues #21 and #22, and she did! Needless to say, I gladly bought the issues from her, leaving only comic #16 to complete my collection. Good Things to Those Who Wait! Looking for comic book #16 was a waiting game of checking eBay and vintage comic book stores on a daily basis. After 1 year of looking for that issue, suddenly I located the comic--and a spare copy too! What a great feeling it was to finish my Walt Disney Presents Winnie the Pooh collection in my adult life. It may have taken 30 years to finish, but it felt like a gift I was giving my former childhood self! Do you collect comic books or do you have any different collections (ie: coins, stamps, spoons, etc)? How long have you been collecting,and why did you get started? Disney on Ice: Let's Party! Comes To Toronto March 12-16 & CONTEST (~OVER~)! Promo Code Too! 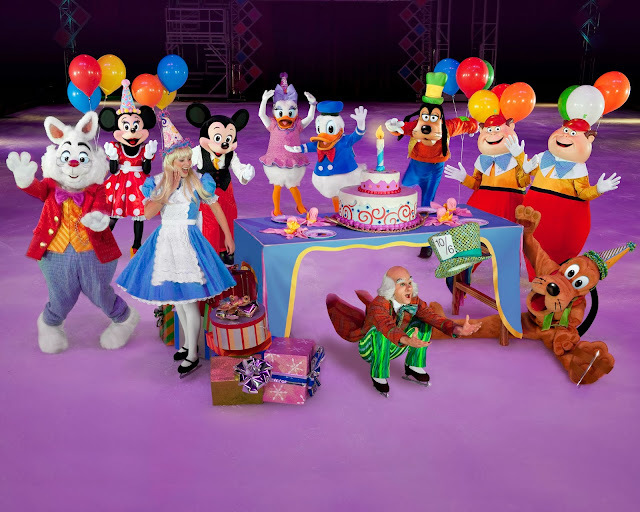 Have you recently enjoyed a Disney on Ice show with your child or grandchild? If no, may I suggest that this March break is a great time to see Disney on Ice: Let's Party in Toronto. The show skates into the Rogers Centre in Toronto this March 12th-16th, 2014! 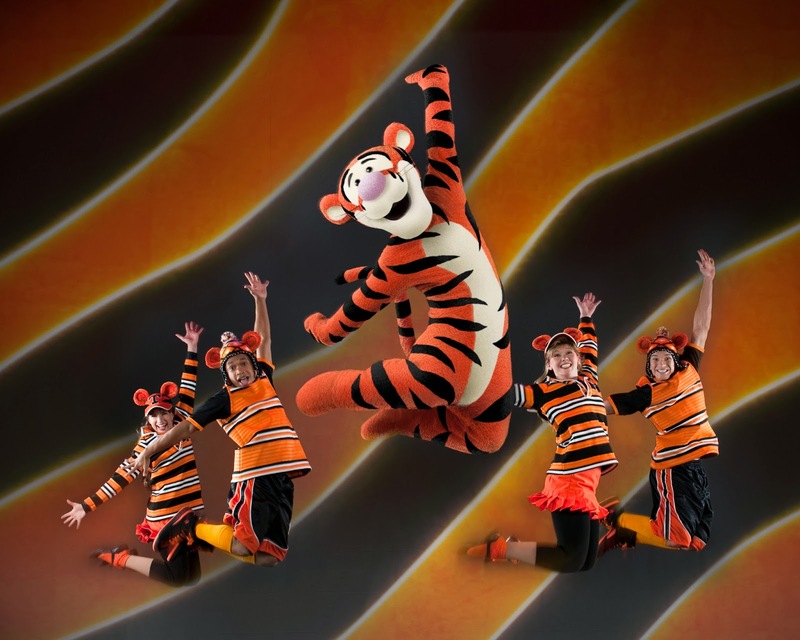 It's a show that interweaves the magic of Disney, breathtaking icecapades, beautiful costumes, enchanting music, and fantastical lights, stunts and special events. Your child or grandchild will also squeal to see his or her favourite Walt Disney characters! We took our own kids to see Disney on Ice: Princesses and Heroes in December, and it was a great afternoon out for the whole family. Our kids also enjoyed Disney on Ice: Worlds of Fantasy and Disney on Ice: Rockin' Ever After in 2012, which made us want to keep coming back to subsequent shows. Party With Mickey and Minnie! "It’s one colossal party on ice, with all your favorite Disney friends! Join Mickey Mouse and Minnie Mouse as they celebrate a Very Merry Unbirthday Party with Alice and the Mad Hatter; a Royal Valentine’s Day Ball with Disney Princesses, including Cinderella, Ariel and Tiana; a Hawaiian luau with Lilo & Stitch; a winter wonderland with Woody, Jessie and Buzz Lightyear; a Halloween haunt with the Disney Villains and more in a magical medley of holidays, celebrations and festivities from around the globe. Come join the party when this spectacular ice show visits Toronto!" If you are wondering the best ages for the Disney on Ice shows, I would recommend ages 2- to 8-years old without a second thought. If bringing younger children to the show, please note that your stroller must be parked in a designated area, which may or may not be located to where you are seated. If your child is a big Disney fan, I would recommend that you take him or her, regardless of age. My husband and I both enjoyed the show, as we're both kids at heart! A Very Merry UnBirthday from Disney on Ice! Use Discount Code: MUM44 or MUM4 for 4 tickets for $44.00 (weekday shows), or MUM4 - $4.00 off (weekend shows). Excludes Front Row, Rinkside and VIP tickets. No double discounts. Additional fees may apply. Weekday is defined as Monday through Thursday. Weekend is defined as Friday through Sunday. Limit of four (4) per purchase. 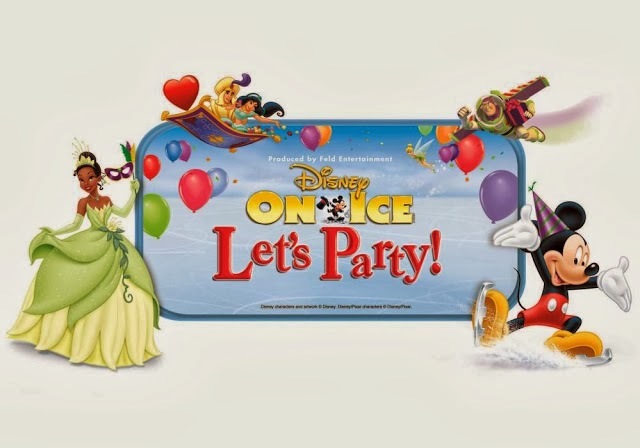 Buy Disney on Ice: Let's Party Tickets! WIN 4 Family Tickets to Disney on Ice: Let's Party in TORONTO at the Rogers Centre, Friday Friday March 14th, 2014 at 7:00pm! Contest ends Friday February 28th, 2014 and is open to Canada. Leave a COMMENT below stating your child's or grandchild's favourite Disney character OR who you'd bring to the Disney on Ice show, if you were to win. Then use the entry form below to enter the contest. GOOD LUCK! Henry Hugglemonster: Meet the Hugglemonsters on DVD Jan 14th! 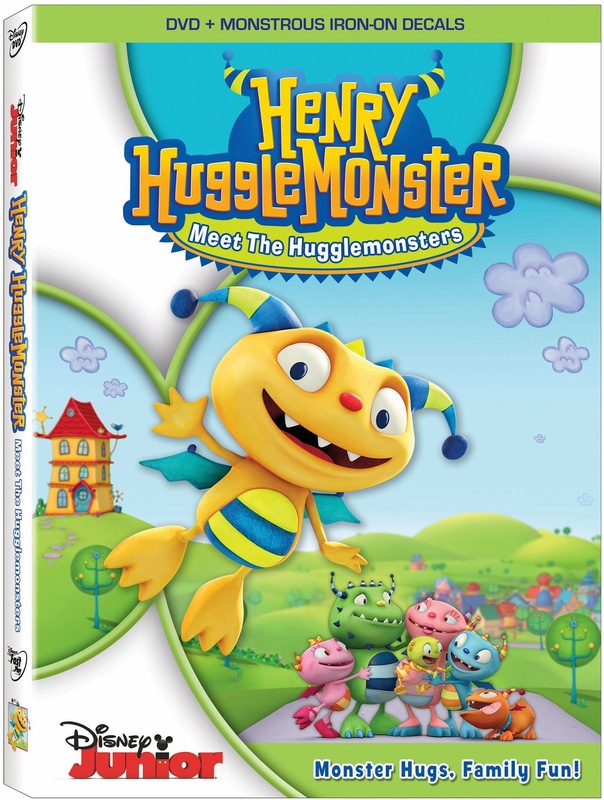 If you have a Henry Hugglemonster fan in your household, you'll know how exciting it is to come across a Henry Hugglemonster DVD, stuffed animal, or t-shirt! I wrote about the Henry Hugglemonster series last year on my blog, and even drew my own Henry Hugglemonster artwork! 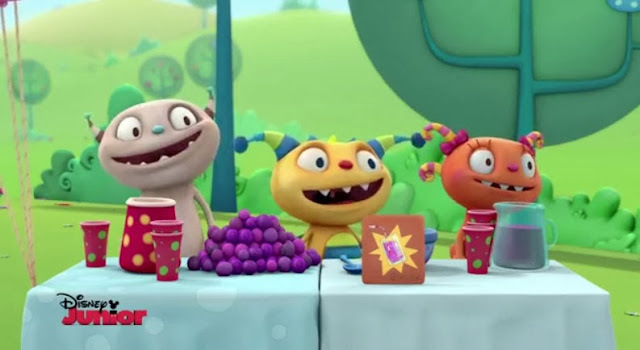 Henry Hugglemonster runs on Disney Junior Canada, weekends at 12:30pm EST. But if your little one can't get enough of Henry, own Henry Hugglemonster: Meet the Hugglemonsters on DVD January 14th, from Disney DVD! It features almost 2.5 hours of Henry episodes that will make your preschooler giggle--and sing! "Welcome to the wondrous land of Roarsville, where 5-year old Henry Hugglemonster lives, plays and learns something “roarsome” every day! Together with his loving parents and grandparents--and a town full of cuddly monsters--Henry embraces all the joys and challenges of growing up. Whether he’s helping his sister put on a show, setting up a hugglejuice stand or entering his monsterdog Beckett in a pet pageant, Henry’s always finding new ways to be the best brother, friend and monster he can be!" Click Image to go to Disney Junior Canada to print Full-Sized Image! Make Your Own Henry Hugglemonster T-shirt! The Henry Hugglemonster: Meet the Hugglemonsters DVD comes with 3 FREE Henry Hugglemonster iron-on decals, so you can make your own t-shirt (t-shirt not included)! WINNERS: Sarah J & Susan E.
WIN 1 of 2 Henry Hugglemonster: Meet the Hugglemonster DVDs from SnyMed.com! Contest open to Canada & the USA and ends on Friday February 7th, 2014! Leave a COMMENT below stating if you have a Henry Hugglemonster fan in your household OR what is your child's or grandchild's favourite character (on tv or in the movies)? We read ALL your comments and so do our sponsors, with thanks! Then use the entry from below to entry the contest! GOOD LUCK!